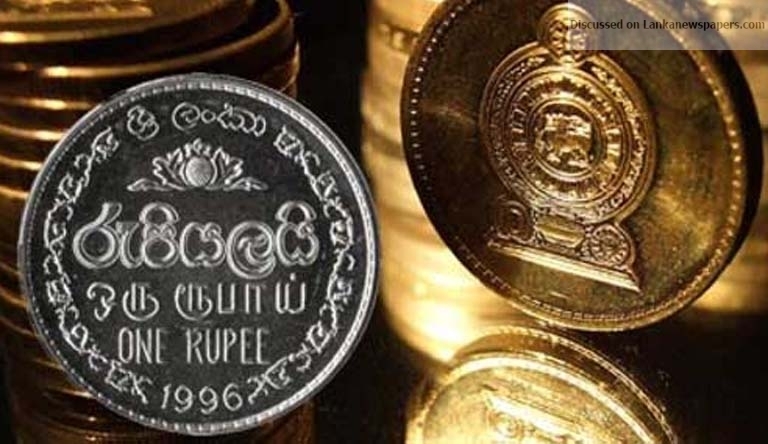 Sri Lanka’s rupee closed at 159.95/95 against the spot US dollar Monday, near the psychological 160 to the US dollar mark, after opening around 159.55/85 levels, dealers said. Last week exporter selling was seen when the rupee weakened below 160 to the US dollar, dealers said. Interbank markets were short by 18.5 billion rupees with the central bank injecting 18 billion rupees through an overnight reverse repo auction at 8.5 percent. Keeping the market short reduces pressure on the rupee. Banks which were short borrowed 22.3 billion rupees in new money from the central bank’s overnight window, and banks which were excess deposited 18.8 billion rupees in the central bank, generating an 18.billion rupee short. Liquidity can run short due to daily cash needs of bank customers, or when the central bank intervenes to sell dollars. The US Fed last week raised its policy rate by 25 basis points to between 1.75 to 2.00 percent, triggering rate hikes across central bank’s with credible pegs.